As we read the different diary entries, we discover how different each journey to South Australia was. The personalities of passengers, resources, captains and weather conditions are some of the factors that influence the journey to South Australia. One thing that each journey seems to have in common is plenty of time for passengers to fill. In the most recent entries we read of a quarrel between Mary Thomas and the second mate onboard the Africaine. 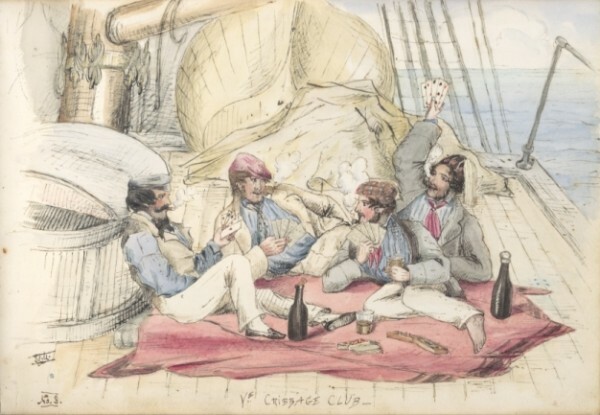 We also read Gouger’s comments about the excellent sailing conditions, while onboard the Buffalo passengers enjoy the fine conditions and partake in quadrilles and country dances on the deck. This week we will examine the ways passengers passed the time onboard. 1. What did the crew and passengers do to pass the time onboard? 2. How did the size of the ship affect the ways people occupied themselves onboard? 3. How did pastime activities differ between passengers of different ages, genders and social class? 4. Who made the decisions about the activities that were held onboard? 5. How did the activities / pastimes differ between the ships? 1. What were some of the ways people entertained themselves in England in 1836? 2. What influences a person’s ability to participate in particular activities? 3. What are the similarities and differences between the way people entertained themselves in 1836 and today? Chronology, terms and concepts: • What does the term ‘quadrilles’ refer to? • Develop an A-Z list of activities people participated in during their free time in England in 1836. Are there any words / activities that you have never heard of before? Historical questions and research: • Write a list of the things you like to do in your spare time. Next, research pastimes in England in 1836 and write a list of what you would have been doing if you were alive during this period. How do your two lists compare? • Find out how the forms of entertainment differed between the classes onboard and identify the reasons as to why this occurred. Analysing and using sources: • How did the invention of the railways in England influence the pastimes and holiday activities of English people in the 19th century? • Select a sport that was played by the English in 1836. Research this sport and draw comparisons between the rules, clothing and other related topics. Perceptions and interpretations: • Select a game or activity that interests you. Research your chosen game / activity and write an argument as to why it is / was the most interesting pastime. • Use Hutchinson’s journal entry to write a newspaper article about the dance that was held onboard the Buffalo. • Devise a role play to show others how to play a game from 19th century England. Research the history of knucklebones. Make up your own game using knucklebones and write the rules for your game. See if a friend can follow your description. Where do knucklebones come from? Why do you think they were a popular activity in 1836? Visit your local butcher and ask him/her to save sheep knuckles to create an authentic set. Design a poster advertising entertainment to be held on the deck. 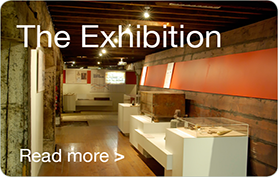 What would entice people to attend your event? What type of entertainment would be provided and how would people be expected to dress for the occasion? Develop a Venn Diagram to show how the different classes of passengers passed the time. You could also use a Venn Diagram to compare the past times of men and women, or adults and children. Circuses became popular entertainment in England during the 19th century. Create a model to show the features of a typical 19th century circus, and compare it to circuses of today. Design a game for children to play onboard one of our ships. 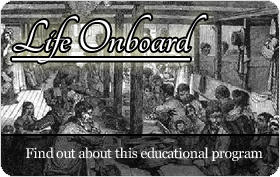 Can it be played below the deck in steerage accommodation or does it need to be played on the deck? Can you design an exciting game using almost no equipment? Find out what kind of music was popular in England in 1836? Where did people listen to music and how as it performed? Use the internet to listen to some typical music of the era and try learning one of the dances people enjoyed in this time. There were no resources available to the passengers onboard, such as musical instruments, pens, paper and books; would the voyages have been different? All classes of passengers should have the same opportunities to participate in onboard activities such as dances and games. People in 1836 were much more creative than people today as they had fewer resources available to them. On which vessel next week is a baby born? The birth of a child in 1836 was both an exciting and dangerous time for the mother. Next week we will look at family structures in 1836 England and compare them to modern families today.